Everything's better in leather. Especially pants. Trouve shirt (similar), J Brand leather pants, Vera Wang pumps, Nordstrom bag (similar MICHAEL Michael Kors), jewelry via Security Jewelers. Those pants are hott! Love it!! 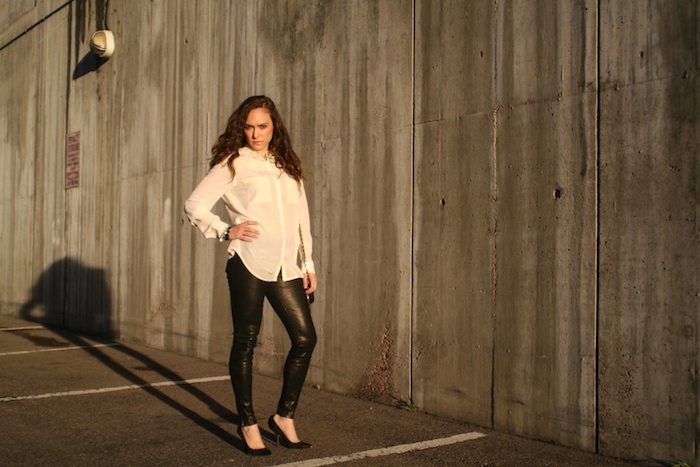 You look amazing in these leather pants! I have yet to own a pair, but after seeing them on you, I feel like it's time I got one! These pants are perfect on you.